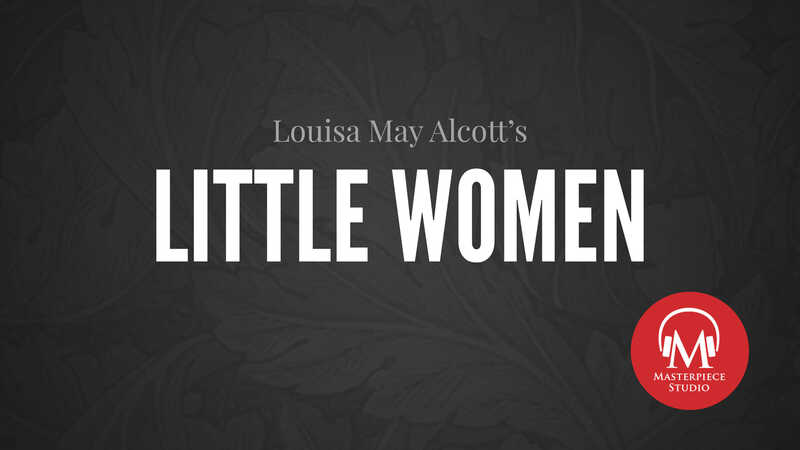 When beloved Call the Midwife creator Heidi Thomas sat down to adapt Louisa May Alcott’s classic book Little Women for television, she knew she’d be forced to cut a few things from the lengthy novel. Amateur theatricals, short-term friendships, and low-key side adventures all had to sadly go. But she knew that the happy childhood of the four central March sisters couldn’t go anywhere. Jo: Christmas won’t be Christmas without any presents. Meg: Jo, get off up the rug, that party dress is in a bad enough state as it is. Beth: We agreed not to have any presents this year. We said we didn’t mind as long as we had Marmee, and Father and each other. 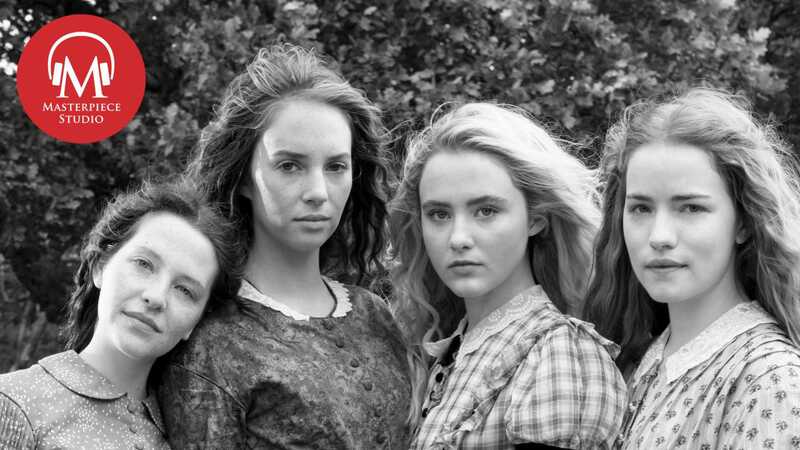 Jace: Meg, Jo, Beth, and Amy are there in full force in Thomas’ adaptation, presenting a hardscrabble, yet bucolic image of 19th-century American youth. They fight, they fall in love, they fall out of love — and they support and care for each other and the family and community around them as best as they possibly can. Jo: We’re giving our Christmas breakfast away to a poor German family we’ve never even met. Laurie: Is that your idea? Jace: Thomas hopes her adaptation will please even the most devoted of Little Women fans — whether or not her March family Christmas scenes feature gaudy tartan bows. 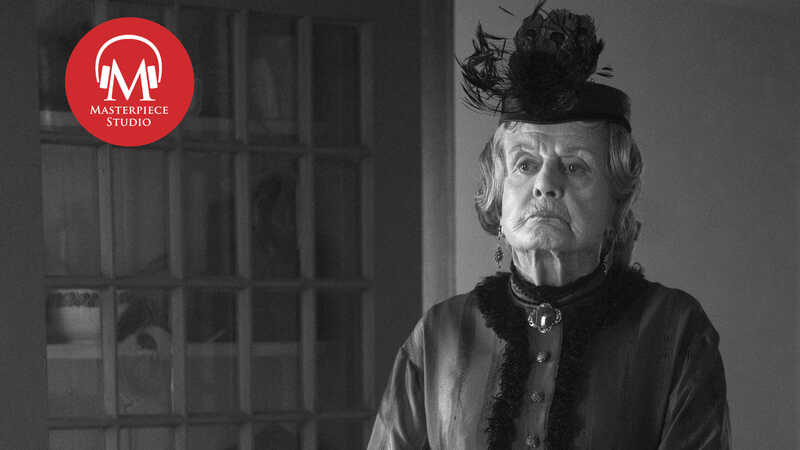 Jace: Thomas joins us again for another conversation on screenwriting, family, and the always fabulous March sisters of Concord, Massachusetts. Jace: And this week we are joined by Little Women writer Heidi Thomas welcome. Jace: Louisa May Alcott’s Little Women is one of your favorite novels. Is it true you discovered it by reading a copy that had been passed down through your family? Heidi: Yes. My mother gave me her copy of Little Women when I was eight, and I think it was the first proper book, it was certainly the first classic noveI I’d encountered. And of course I read it through a child’s eyes, as you do, and I reread it again and again over the decades it was my comfort book. But I think I always read it through a child’s eyes until I sat down to adapt it for television. And reading it as a 55-year old woman, I found so much more in it than I remembered, and that I could have possibly imagined. I realized immediately this was going to be the biggest challenge of my writing life, but it was also going to be one of the richest experiences. Jace: Now why do you feel that the popularity and relevance of Alcott’s novel has endured? Why is this so timeless? Heidi: I think the very definition of a classic novel is one that can be revisited generation after generation, and people always find something different in it. I think, having reread it again so recently, the girls are remarkably modern. They’re quite free in their speech, although they use the colloquialisms and the slang of 1860s America, once you sort of massage away the very distinct particularities of that dialect, the things they’re saying as they josh each other at home, as they joke, as they grumble about their lives, it just feels very accessible. And I think it’s, their energy doesn’t feel Victorian, it doesn’t feel constrained. Society constrains them, and Jo in particular, rails against that at different times, but there is a freedom about their relations with one another and about their speech that I think does not date, and feels very 21st century. Jace: Now you’re an extremely busy writer. What about adapting Little Women for television attracted to you as the project to do outside of Call the Midwife right now? 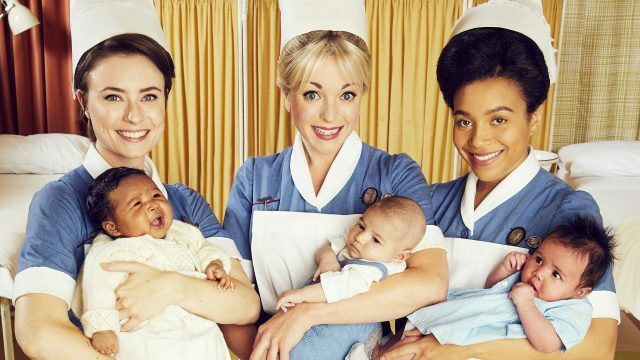 Heidi: Yes, I’ve turned down a lot over recent years, and Call the Midwife has been my first love and the first demand on my time. I think it was a book that I loved so much for so long, and I knew it was an opportunity that wouldn’t come again, and so I grabbed it with both hands without hesitation, without forethought, without analysis, and then I realised what I’d taken on. And it was too late to back out. I was stuck with it. I think one reason I was really keen on it was because it’s for television and I felt that was enough time to do it justice. I perhaps would have hesitated if I’d been asked to do it feature-length sort of 90 or 100 minutes. I don’t feel that I could have done justice to the novel in that amount of time. So certainly that propelled me forward, and as I say, that once I had committed I had to do it, really. 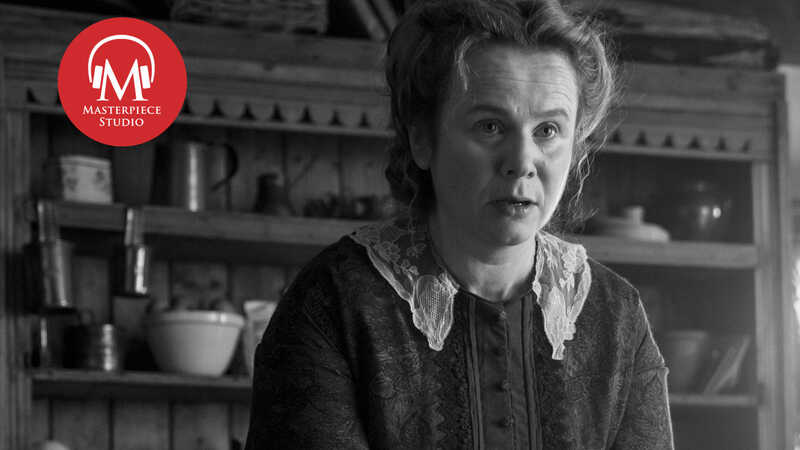 Jace: Now do you see Little Women as an innately American story, or does it transcend national boundaries? Heidi: It definitely transcends national boundaries. I knew it was an American novel but that put up no barrier to me even as a very young person reading it. And I know it’s greatly loved in Japan and Scandinavia, for example. What I hadn’t anticipated was that Americans would say to me, ‘Why are you doing a great American novel? You’re not American.’ And in fact when we went out on the BBC in Britain some people were tweeting, ‘Why they have they got American accents?’ because they didn’t perceive it as an American novel at all, which I thought was interesting. And so yes, I think it is absolutely universal. But what I was very keen to do, conversely, was to bring out those resonances of the Civil War, which was very striking to me on rereading. I’d never noticed, or never digested that John Brooke went away to war after becoming engaged to Meg. It’s only two sentences, but they really jumped out at me. I thought that’s a powerful thing to happen to a young couple in courtship, and Meg who seemed so conventional and calm about everything, and I really wanted to include that. And also just have that snippet as we show in the opening moments of Mr. March, and what being away to war meant to him. Soldier: Do you have any letters for the post, Pastor March? Mr. March: This will go on the mail train tonight. Mr. March: Put shoes on. Jace: Now it is a multigenerational story, one that some have wrongly dismissed as a children’s book, and I use that in air quotes. Why do you feel that Alcott’s work has been discussed in those terms, and how does the novel itself challenge those preconceptions? Heidi: I think anybody who thinks Little Women is a children’s book is still a child, either chronologically or emotionally. It was very popular in an abridged format, and I think it was given to a lot of little girls for many, many years, cut down to perhaps half of its size and half of its complexity. So I think that hasn’t helped its reputation, ironically. I think there are probably some women around today who think they’ve read Little Women, but they’ve only read the children’s abridged version. I think personally it’s as complex and as dynamic and revolutionary in its way, as Middlemarch, which was written at almost the same time. 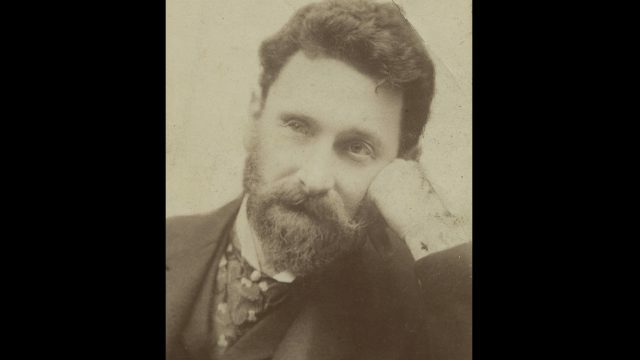 The realism of the characters, the breadth and the width of their experiences, and the punctiliousness of the dialogue, its realism — that’s very like George Eliot, to me. And I think one must always approach a novel after putting one’s preconceptions down, whether you are reading it for the first time, or you’re reading it for a second or third time. I think what I sat down to do this adaptation it was probably my tenth reading of the book. Marmee as an adult character is often very overlooked. I think we meet her when we are children, we’re daughters and when mother figures are remote to us, either because they’re much loved and put on a pedestal, or perhaps they are antagonizing characters in our lives. And I think Marmee’s layers, and her complexity are completely overlooked by the juvenile reade. For me, that was one of the big takeaways of reading Little Women as a 55-year old. I’ve raised a child, and I think Marmee is the lynchpin of the novel, and if you underestimate Marmee or don’t treat her with enough attention to detail or enough respect, you lose a lot of the ballast and a lot of the texture of the novel, so I think not approaching Marmee from the right angle is a real mistake and has perhaps caused problems of the book’s image over the years. Jace: I mean you talked about that the act of reading this book now feels sort of innately different to when you read it the first nine times, maybe. How has time changed your own perception of the work as not an adapter but as a reader? Heidi: I think the biggest takeaway for me, the thing that really undid me, and I really did weep, was reading about the loss. We all know Beth dies. It’s almost a joke in society. Everybody knows Beth dies, unless perhaps you’re a man, and you haven’t read the book. But it’s not just the fact that she dies. It’s her understanding of her situation as she approaches the end of her life. And it’s also watching that family, her father, her three surviving sisters, descend into raw grief. It made me weep. I’ve experienced bereavement myself, actually of a sibling, I had a brother who died when he was in his mid teens and I was just 20, and I’ve long digested that experience, and I think because I’m healed from my own grief, which was a defining quality of my early adulthood, the loss of my brother, I just looked at the book and I thought this is an exquisite depiction in literature of grief. I haven’t seen it in other books before. It speaks so much of the human condition, and so much about death, and loss beyond the specifics of Beth’s disappearance from the family circle. I just find it very, very profound and very spiritual. It wears its religion lightly. The sisters have a great reputation for piety and of overt Christianity, and once you take away the little details of The Pilgrim’s Progress, it’s not the dominant force within the novel. But I do feel as if it talks about mortality and loss and acceptance in a way few other novels do. Jace: What were the sort of innate challenges in terms of adapting this book? Where did you decide to say we’re not gonna have to lose this in order to make it work within three hours. Heidi: I think the terrible thing about adapting any fiction, especially classic fiction for the screen, is you know that in certain quarters you will be judged by what you leave out, not by what you include. And so you do think very, very carefully before you get rid of anything which is iconic. And before I do any adaptation, I always sit down with the book and I think, ‘What are the sacred moments in this book? What must I not lose and what must I not change, if I am to deliver this into a different medium with veracity authenticity and good faith?’ With Little Women, it seemed very obvious, but I had three hours. And in the book, it’s called part first and part the second in this rather elegant, old-fashioned way. But I was just calling them part one, part two, part three. But I had a mini thesis for the whole three hours which was, part one was childhood, part two was challenge and part three was change. So part one was obviously going to include a lot of the happier material. The instinct was amateur theatricals, the Pickwick Papers and The Pilgrims Progress, but all of those are quite unwieldy. To do them properly, even to do two out of the three, would have taken up an immense amount of time without delivering very much in terms of character, which is very important in a first episode, and I felt they would create barriers of pace. So I looked to those and I thought, I really do want to show the girls having their happy childhood, being close to one another. So we introduced a very simple device which is the snowball fight in the garden where you see the family interacting with each other. Amy: You savage! Laurie Lawrence!! A real, real savage. Meg: Amy, amy stop screaming like that! Laurie: That’s right, do as your sister says. Jo: Not so fast! Leave this to me, Amy. I’ll beat you, Laurie Lawrence! Heidi: And I didn’t bother with the Pickwick Papers because it bored me when I was a child and I thought you know for once, that’s as good a rule of thumb as any. But it was also about the joy of interacting with Laurie, giving their breakfast away, getting a breakfast back in return. So that was childhood, so I did that. My biggest concern was I didn’t want all of the sisters to be diminished in order for Jo to shine. And I think that’s a very obvious way to go down when you’re trying to thin the two novels, because it’s obviously Little Women and Good Wives are shaped like an arrowhead it starts at one end at the beginning. It’s very broad and there were four lives that carry equal weight and it gradually narrows down over the course of the books and the action in the TV series to a point and the point becomes Jo. But at the beginning we have all four girls and I tried to treat them with an equal hand. I felt that Meg Amy and Beth all had distinct and individual and equal worth at the outset. So at every turn particularly in episodes one and two, I would be aiming for that even spread of characters that sometimes helped me make choices and decisions about what we left out what we included. Jace: I read that one condition you had about signing on to adopt this was that Amy spoiler alert actually had to fall through the ice. Heidi: Absolutely. BBC, 1970, teatime adaptation, they had 12 episodes, which I envy. I’m sure there was a lot about that was great and I do remember falling in love with Laurie in my 9 year old way, but when Amy came to fall into the frozen lake, as per the book, she fell into a small ornamental pond and only got wet up to her knees, and that was the scene. And I didn’t know anything about adapting in those days, and I certainly didn’t know what I’d be doing for a living as a grown woman, but I knew when I’d been had. I knew when I was disappointed And I always thought there was a level beneath which you cannot go. You have to deliver these things, and the BBC were brilliant, they said, no, the budget will allow for that, and I have to say it was done superbly. Jace: Now this is one of the rare adaptations of Little Women that doesn’t have two different actors portraying Amy. Why do you feel it is important to have a single actor or portray the character and what does it lends the production in terms of authenticity? Heidi: I think what’s interesting is I deliberately didn’t go back and look at any previous adaptations of Little Women. It’s perceived as an established convention almost like a commedia dell’arte sense, that Amy is played by a little girl, and then suddenly you bring in the adult actor. 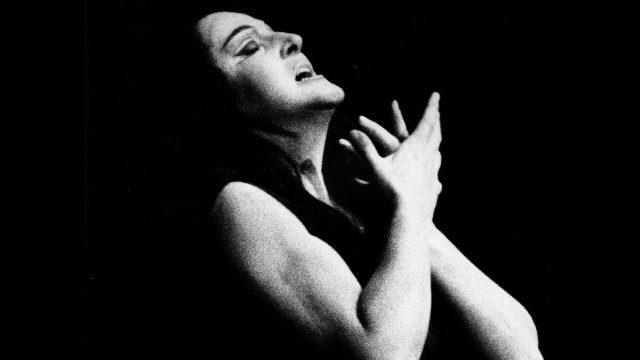 And I personally in the versions I’ve seen, I found that a slightly jarring moment, because you invest in a personality, in a performance, and then that suddenly changes. But for me there was a very particular and distinct separate reason for not going down that path, and it was to do with Amy and Laurie’s eventual marriage, and their relationship. And like many I’d been a naysayer. I always wanted Jo to mary Laurie because I thought I was Jo. And I thought I was in love with Laurie as a child. So I wanted them to be together. But rereading the book, it became very clear to me that Louisa May Alcott had intended Laurie and Amy to be together all along. And when you look at scenes, for example when she’s at Aunt March’s, and he comes to visit her every day, and they form a sort of bond, and he helps her to write her will, and they exchange confidences, I thought no, the seeds are set when Amy is a child of 12 or about 13, I think she is in actual fact. And I wanted to be able to play on those resonances, without them appearing distasteful, which I think is a possibility if you had a young child in the role because obviously it’s going to be the same adult actor. But I also felt we lose a little of Amy’s throughline by changing horses halfway through. So that was very much my thought when I was writing it, but the director had the same thought just in terms of performance, so I think we felt we agreed with it. And we also we knew it wasn’t the first time it’s been done. Elizabeth Taylor played the whole role when she was about 22 I think, and she looked so mature, they had to make Beth the youngest child in the family because she was played by Margaret O’Brien, who was about 11 and looked about nine. And I did feel that that had changed the dynamic slightly, but we kept the correct dynamic of age between the four sisters in relation to one another. Jace: Now which of the roles was the most difficult to cast, and why? Heidi: I think Beth was cast the first, and it seemed obvious. 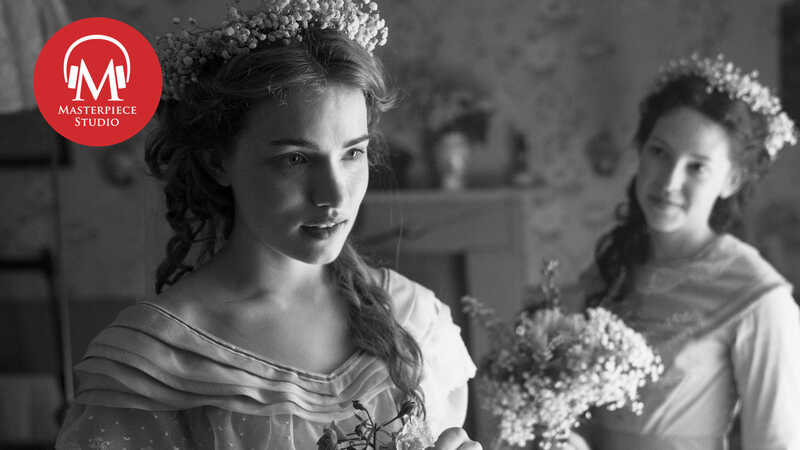 She was just so perfect for the role and being young and in demand, we didn’t want to lose as we cast her first, and then we find Kathryn Newtown very quickly and I think Willa Fitzgerald was also cast quite early. It’s the search for Jo. It is the search for Scarlett O’Hara. She ultimately becomes the heroine of the novel. And there have been some iconic performances in the past. And we looked at different types of girl. And there were a couple of very strong front runners, but Maya just won out completely, but it was a very punctilious process. I wasn’t really involved in the, in the audition process, I was involved in casting, which is different. But Vanessa Caswill is a very sensitive and intuitive director who was spending a lot of time on Skype talking to Maya, playing scenes with her, and with every tape that came through, we were just more convinced that she was the person. She has height, which is a help, because you know at an early stage, very much shorter actresses were falling by the wayside. But a lot of people want to play Jo. So there were some young actresses bringing really very committed and admirable performances to the screen for the audition process. 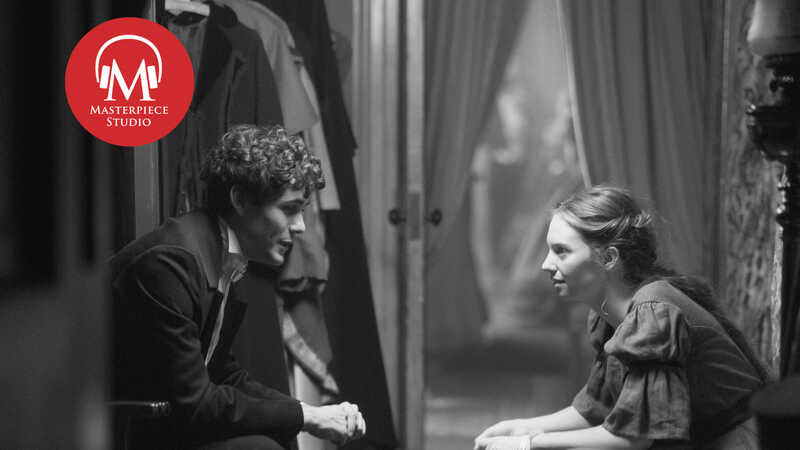 And what was lovely about Maya, was she went through several rounds of auditions, and I certainly didn’t know who her parents were, she auditioned as Maya Hawke, not as Maya Thurman-Hawke, which makes it much easier to make the connection. And I didn’t spot the facial similarity with her mother at all. So we had no idea she was Hollywood royalty, and I’m telling you, that girl worked this part. She did a number of auditions and they were grueling, but she’s so smart and was so well prepared and brought so much understanding of the book, but also the text that we were putting in front of her. You know, people can understand a book but not necessarily the script that results from it, and she just brought so much to the process. So I suppose that was the hardest. Jace: Now when you’re adapting a book, how difficult is it to walk the fine line between reverence and reinvention? Especially with a novel such as this that there are, you know — the burning of the book, Amy falling through the lake, Beth dying — I mean there just are moments that are indelible for a lot of readers. Jace: Now what message do you hope that viewers ultimately take away from Little Women? Heidi: I would like young women in particular to take away the fact that growing up or coming of age or becoming fully human is not about finding out who you are. It’s about finding out who you are not, and making peace with that. Because I think that’s what all these young women do in the course of this novel. Marmee, has done it already, she knows her faults, she knows her shortcomings, she knows who she can never be, and she knows her virtues and her husband’s virtues, just as she knows what they will never do and achieve. And I think that’s the takeaway for me, is the lines that we ended up ending the show with, which is, ‘Not everything is perfect, but things can be just right.’ You know, embrace the imperfections of life, because if you do that, you will find the beauty in it. Jace: Heidi Thomas, thank you so much. Jace: Dame Angela Lansbury is a living legend. With more than 75 years on the stage and screen, it could be said that Lansbury’s career is a ‘tale as old as time.’ In a special extended episode of MASTERPIECE Studio, Angela Lansbury joins us in the studio to discuss an acting career that ranges from Gaslight to Murder, She Wrote, and just what she brought to set of MASTERPIECE’s upcoming adaptation of Louisa May Alcott’s Little Women. Don’t miss this intimate conversation, appearing in your podcast feeds next Sunday, May 6. And don’t miss Little Women, airing at a special 8 PM Eastern / 7 PM Central broadcast time on May 13.